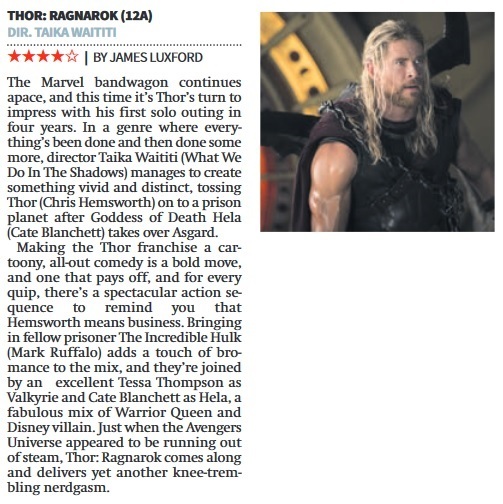 City AM: Thor Ragnarok, Breathe and Call Me By Your Name reviews. 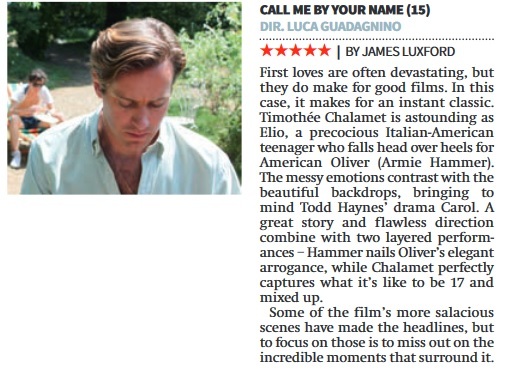 Posted in City AM, Movie Review, Uncategorized | Comments Off on City AM: Thor Ragnarok, Breathe and Call Me By Your Name reviews. BBC Oxford/London: T2 Trainspotting review and more. 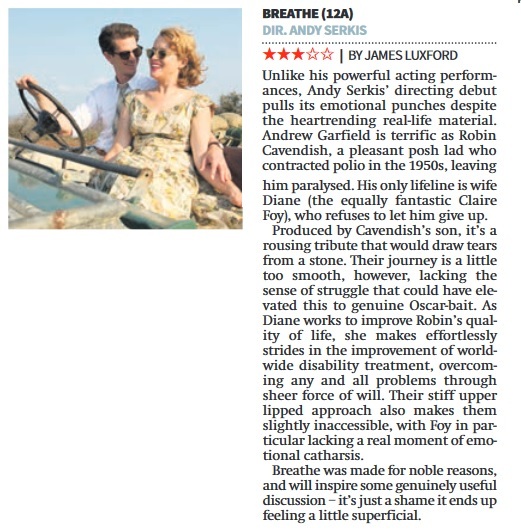 Please click the iPlayer link above to listen to my reviews for BBC Oxford, broadcast on 26th January and replayed on BBC London 28th January. I review the films T2 Trainspotting, Hacksaw Ridge and Sing, as well as talking about this year’s Oscar Nominations. 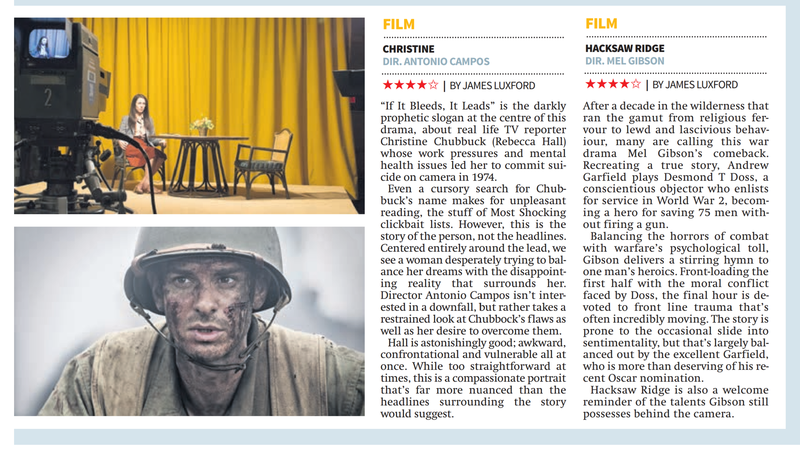 Posted in bbc london, BBC Radio Oxford, Movie Review | Comments Off on BBC Oxford/London: T2 Trainspotting review and more. Not the cleverest blockbuster of the year, but maybe one of the most fun.